Enhance your training experience, save time and boost your professionalism. All with one easy-to-use solution. Present digital training plans to your clients and stay updated to them with a specifically made platform. Automate processes like scheduling, creating training plans, and invoicing, and save hours of time every day. 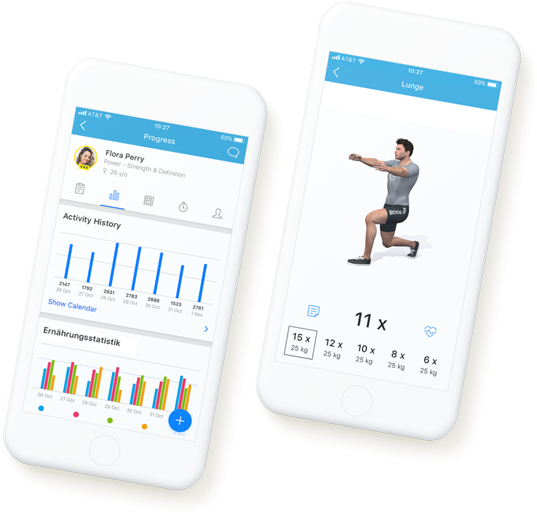 One Software for Personal Trainers. Manageable from the Cloud. Differentiate from the other personal trainers by offering digital training plans and nutritional advice. You can quickly create plans through the software and present them digitally to your clients. 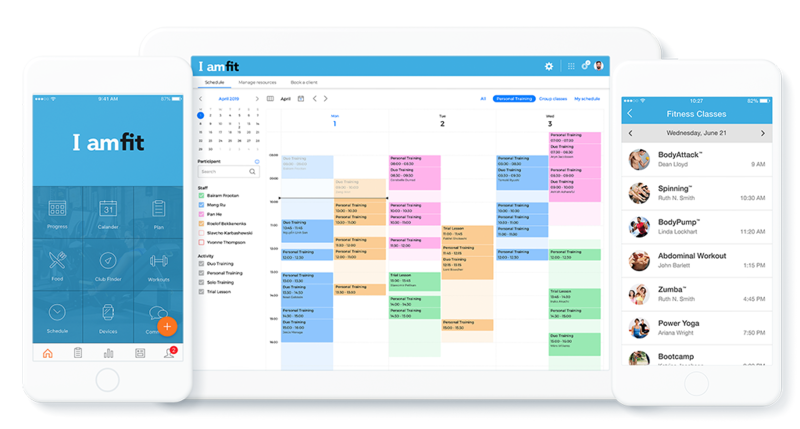 Optimize your working day with a professional Scheduling system which will allow you and your clients to see your availability. Moreover, you can centrally manage and overview all your clients from a central platform: again, this will allow you to save time. Are you a starting personal trainer? Do you have less than five clients? Stop here. We have the perfect (free) solution for you: The Virtuagym Coaching App. This free App will allow you to kickstart your business! You can find more information about the Free Coaching App here. Personal Trainers can create reusable training plan templates for every goal with an exercise database containing 5,000+ animated exercises. Additionally it is possible to easily generate personalised nutrition plans. All your client information is centrally managed in Virtuagym. All notes, assessments and other supporting documentations are linked in the Cloud. Handling your finances is a breeze with Virtuagym. Invoices are automatically generated and sent to clients, who can pay via their preferred method, whether it’s direct debit, credit card, or PayPal. 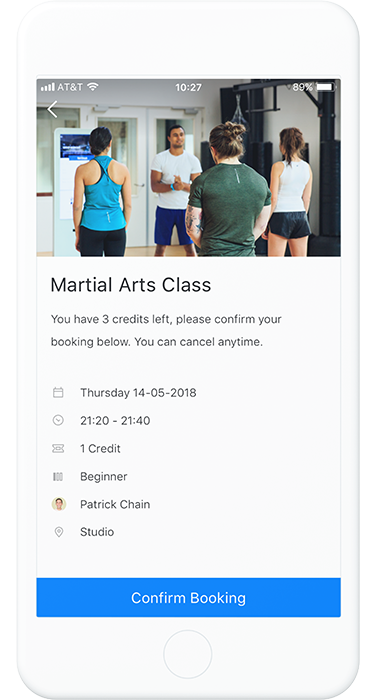 Instead of spending hours on the phone to process appointments and cancellations, you can let clients book their sessions via your own personal trainer app. You’ll get notified right away! How can personal trainer software help to build your online community? Community is important to clients. People want to share experiences and happy moments together. With Virtuagym, you have a unique online space for your clients to use to chat and discuss everything to do with fitness. It’s proven that when people feel like they belong, they stick around for longer. Can online personal training software grow your business? Absolutely. Thanks to the powerful digital solution Virtuagym, your business will be able to grow faster for the long term and better than ever before. With more time to invest into training clients, your business will be healthier and more attractive to new clients. Next to that, you are also able to create a better marketing strategy. When you make more money with Virtuagym, you’re strengthening your position as a leader in the personal training world even when you just start a business. What can personal trainer software do for your personal training business? Starting your own personal training business will be easier with the online personal training software from Virtuagym. You love to teach clients, and you need more time and energy to do this. Instead of writing invoices and manually adding coaching sessions, you can focus on your clients. You want to plan for the future and plan a solid path for your business to follow, but to do that you need personal trainer software. A digital platform saves you time, makes you more money, and shows your clients you’re serious about your business. Virtuagym helps balance your time between admin, training and investing in personal growth, to give more to your clients. What are things to consider before you buy a personal trainer software? Before you dive into online personal training software, it’s important to think about what a powerful digital solution can do for your business. 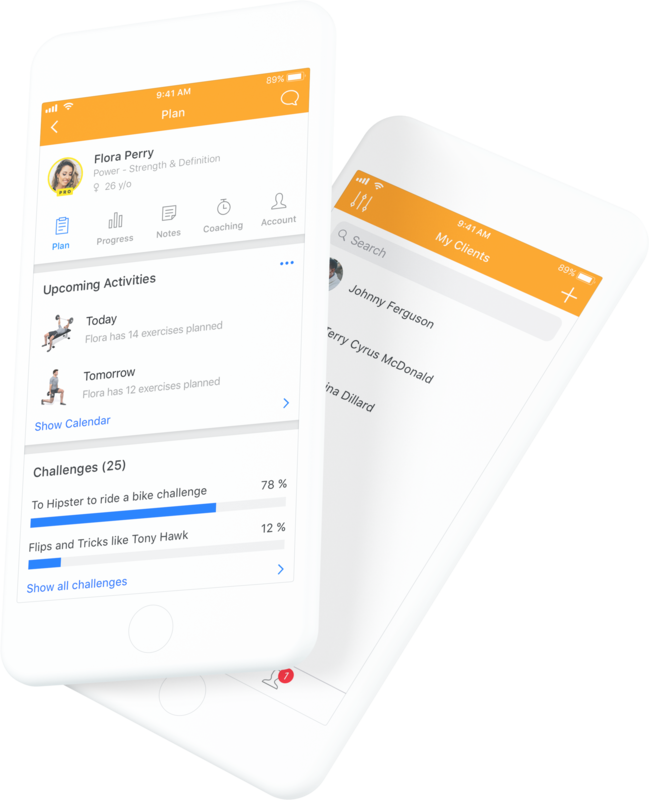 Virtuagym has a huge list of features that make life easier for personal trainers. Why do you need online personal training software? Every personal trainer needs a strong structure to build their business on. Running a business and creating a strong business plan is not always easy. 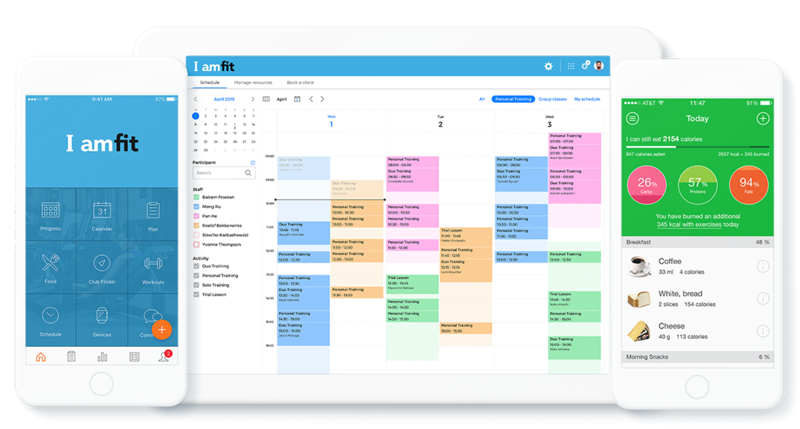 Personal trainer software saves time spent on administrative tasks and unlocks more time in your day to train with clients, track their progress and grow your client base. You get more value out of your training sessions. A digital solution can be used to manage billing, client bookings and for creating a unique community to promote your brand to potential clients.